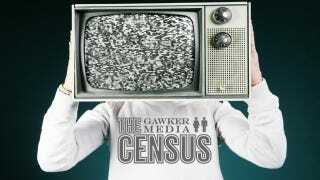 You might have noticed that over the past few weeks we've been bugging you to take the 2012 Gawker Media Census. Well, try not to cry too hard, but the most exciting survey on the whole World Wide Web has come to a close. We learned all sorts of fun facts about the 2,647 Kotaku fans who responded this year, like how 66% of readers enjoy watching animated movies and TV shows. And who can blame you? They're great! Except Dumbo. Dumbo was traumatizing. Thanks again for participating. Keep watching those My Little Ponies episodes!